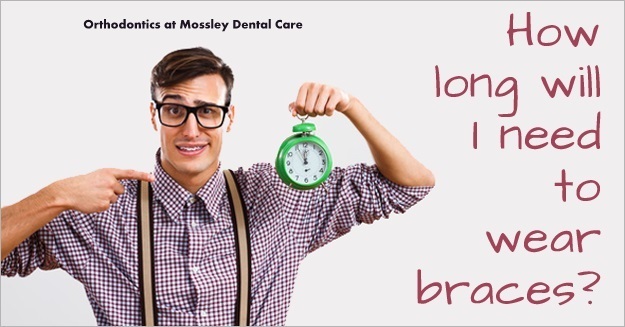 Orthodontic treatment times at Mossley Dental varies from anything from only a few weeks to about 2 years but it depends on the specific problem with the teeth and what our treatment goals are. Although we cannot give guarantees with regards to treatment times some adult cases are treated in around six months (six month braces). What we always say to patients is that there is no point in rushing through treatment and taking the braces off too early and at the end of the day your treatment will take as long as it takes to do the job right! and get you the result you are looking for however we will not hang about and with the modern braces we use it is often possible to treat cases much quicker than years ago. We treat patients from around Greater Manchester, Oldham, Tameside and Saddleworth and if you are interested in a free initial consultation contact our reception.